Cambodia´s geographical location, available resources, and frequency as well magnitude of disasters makes its population very vulnerable to impacts of disasters such as floods, droughts, tropical storms and hurricanes. 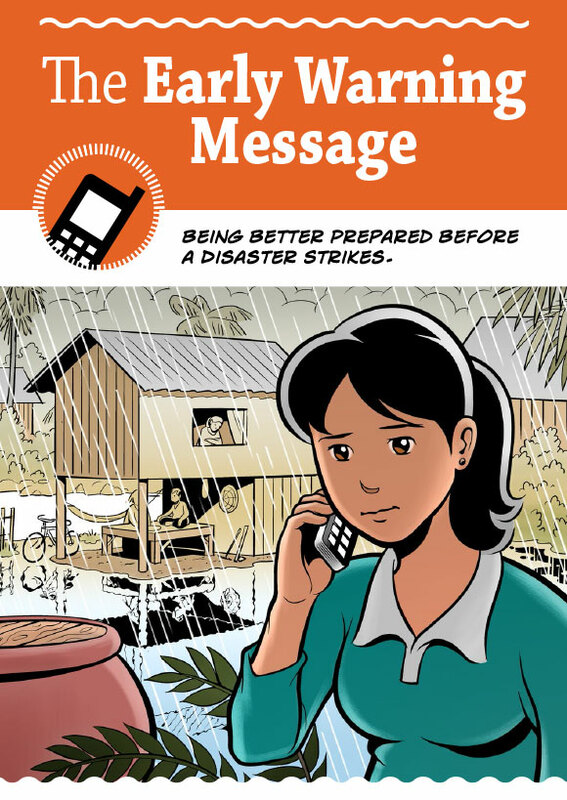 People In Need implemented a project designed to act as an early-warning system for farmers facing natural disasters which uses mobile phones and Interactive Voice Response (IVR) technology. 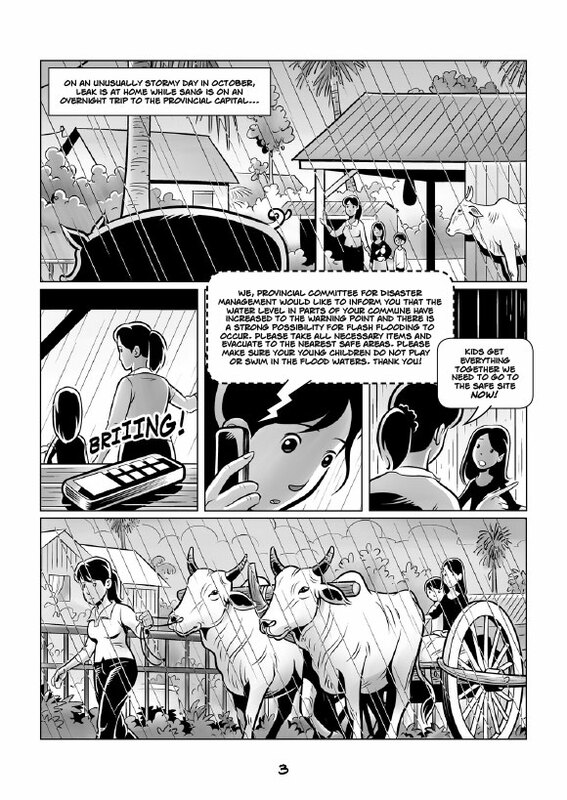 Jose Encinas was commissioned to produce an eight-page comic book and a scalable banner as an easy-to-understand guide of this service.